There’s not long to go until the 2018 Cheltenham Festival roars into action. The four-day meeting will see the cream of the jumping crop pit their wits against the fences and hurdles dotted around the famous Gloucestershire course. Everyone already knows about the chances of Apple’s Jade, Apple’s Shakira and Buveur D’Air amongst others. But what about the lesser-known lights of jump racing? The Coral News Team have picked out five who could shine at the Festival. The progressive Maria’s Benefit has gone from strength-to-strength for trainer Stuart Edmunds. The six-year-old mare has risen through the classes in emphatic style in her novice hurdling campaign. She capped an incredible start to the season by landing the Yorkshire Rose Mares’ Hurdle at Doncaster last month – her first black-type success. Now Cheltenham is on the horizon. And the Mares’ Novices’ Hurdle is in her sights. You can back the Irish-bred raider at 6/1. Anthony Honeyball is having a wonderful time of it this season. The trainer has an excellent strike-rate, which has been helped by the displays of Ms Parfois. The seven-year-old has reeled off a hat-trick of successes since the start of December. Even more impressively she’s been stepped up in trip each time and still managed to extend her winning distance. Her best work comes on soft ground. So if the rain comes at Cheltenham, expect the daughter of Mahler to be in contention. She’s a tasty 25/1 for the RSA Chase. 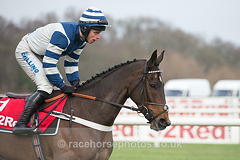 William Henry produced a fine jumping performance to land the Lanzarote Hurdle last time out. That performance at Kempton has earned Nicky Henderson’s raider a quote of 12/1 for the Coral Cup. 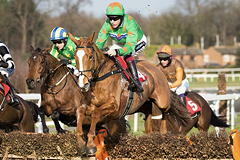 The eight-year-old has progressed nicely this term and has the added bonus of being an experienced Cheltenham runner. He’s won there once, finished runner-up twice and was pulled up on his other attempt. He can handle any type of ground and has shown his quality in fields of varying size. The Irish-bred raider also stays on well and makes significant ante-post appeal ahead of the March meeting. 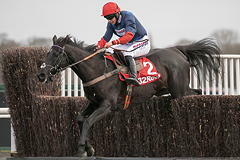 Black Corton has been a solid performer for some time. But the addition of Bryony Frost in the saddle has lifted the seven-year-old to the next level. Frost has ridden the gelding to success in six out of seven races so far, including the Kauto Star Novices’ Chase on Boxing Day. 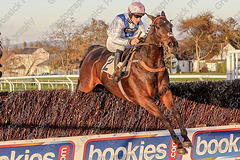 That triumph proved a landmark triumph for both jockey and horse as the pair combined for a first Grade 1 success apiece. The duo saw off Elegant Escape, West Approach and Ballyoptic at Kempton. Black Corton’s season may have started last July, but the Coral News Team think there could be more to come for the French-bred hero. He’s 20/1 for the National Hunt Chase, although the RSA Chase is a more likely target at 16/1. Waiting Patiently has risen through the classes with the ease of a knife slicing through butter. The seven-year-old resumed this season with back-to-back Class 1 successes and holds entries for both the Queen Mother Champion Chase and the Ryanair Chase. Before that, he is likely to be engaged in the Ascot Chase. Unfortunately, any tilt will have to be done without the influence of Malcolm Jefferson, following the trainer’s death at the age of 71. Jefferson had an impeccable Cheltenham record through successes with Tindari and Cape Tribulation amongst others. Waiting Patiently has the quality to be able to match those and will now be trained by Jefferson’s daughter Ruth. The seven-year-old chaser is 14/1 for the Queen Mother and 10/1 for the Ryanair. Big race previews, betting tips and racing news – Coral have it all.